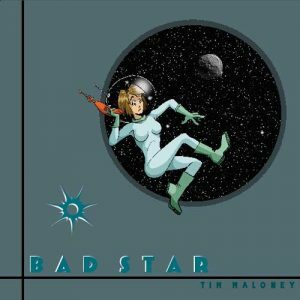 “Bad Star” is the long-awaited follow-up to “1000 Licks,” a shining platter of 11 bizarre tracks. “Bad Star” is the long-awaited follow-up to “1000 Licks,” a shining platter of 11 bizarre tracks. Where “1000 Licks” used hundreds of found sound sources, “Bad Star” takes things up a notch further, fetauring original music and specially recorded vocals that only appear to be found sources. “Bad Star” is a fever dream of sound, cavorting from one sonic landscape to another with no apparent regard for structure. Yet the overall affect of the disc is nostalgic, melancholy, and even a bit disturbing at times.